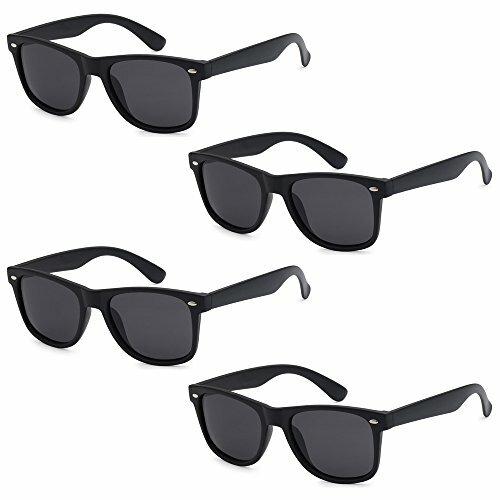 Got Shades offers adult unisex 4-pack retro styled sunglasses available in various color options. The glasses are normally sunglasses that retails at 10/pair. Excellent for party favors, birthdays, school fundraising, charity auctions, corporate giveaways, wedding photo booths, bridal parties, team pride events or even reselling them at retail level. Prices are below wholesale prices. All glasses are FDA approved for impact resistant and light transmission and offer 100% UV protection. If you have any questions about this product by Got Shades, contact us by completing and submitting the form below. If you are looking for a specif part number, please include it with your message.